What is the difference between “Active” and “Passive”? The active Bloomery contains 2 buffer circuits that keep your guitar tone pure and prevents tone loss of the high end frequencies. The reason it is called active is because the version requires a standard 9v center negative power supply to be used and cannot function without power. The passive Bloomery uses passive electronics to function and therefore does not require any power to operate. Because of the nature of a passive circuit, some high end frequencies can be lost, but not significant amount. The tone loss can be compared to standard passive volume pedals such as the Ernie Ball VP. Unlike the active model, the passive Bloomery is also able to convert the tuner output into an expression output. This can be done with the internal DIP switches which can be accessed on the side of the Bloomery. The ability to convert the passive model into an expression is not meant to be “switched on” in a live setting, but must be configured to be used as an expression or volume pedal before using. By default, the passive Bloomery is shipped as a volume pedal. 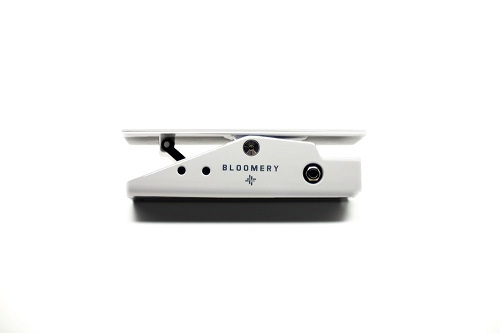 I am interested in the Bloomery Passive VP for expression pedal purposes. In terms of setup, would it require 2x TS cables connected into the VP (input & Tuner jacks) or can 1x TRS cable only through the Tuner jack be used? Only one TRS 1/4″ through the tuner output is required when in EXP mode. Does the active version of the Bloomery allow you to configure it as an expression pedal (or does that feature only work with the passive version)? What pedals are compatible with the Bloomery? Any pedal using a TS 1/4″ instrument cable will be compatible with the Bloomery. 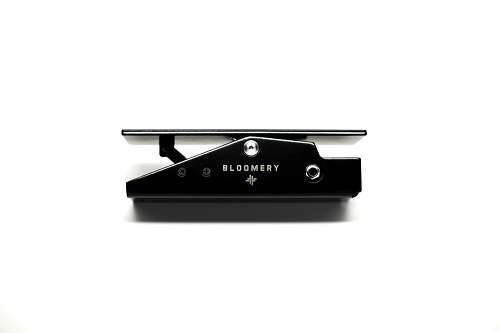 The Bloomery runs in line with your effects chain and is very simple to implement into your current pedalboard setup. Is the Bloomery VP center negative? The passive Bloomery does not require any power to operate. The active Bloomery requires a standard 9v 2.1mm center negative power supply (like most Boss pedals) and draws around 20mA. What is the impedance of the Bloomery VP? Both the active and passive models of the Bloomery use a 250k ohm potentiometer.